I just got back from a 9-day trip to Japan and it was everything I hoped it would be from both a personal and professional perspective. I wanted to share some of professional reflections here, with a few personal ones thrown in! As I boarded my plane from San Francisco to Tokyo, I asked for your questions about Lean in Japan that I could ask my friends and colleagues there. Thank you for your questions! I’ve answered many of them in the comments area on that post, but one answer seemed more fitting for here. 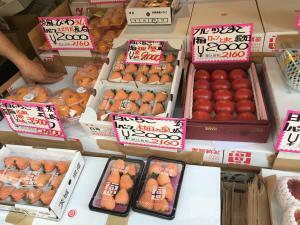 Check out the prices of these special “blond” strawberries. The middle pack goes for roughly US$90! From simple Japanese dishes such as ramen and yakitori (BBQ chicken on skewers) to high end teppanyaki and thinly sliced sashimi, and other cuisines such as French and Italian, the food in Tokyo is unparalleled across the board. Tokyo has more Michelin stars than any other city in the world – by a long shot – and the competition is high. Even ones without stars tend to be amazing. 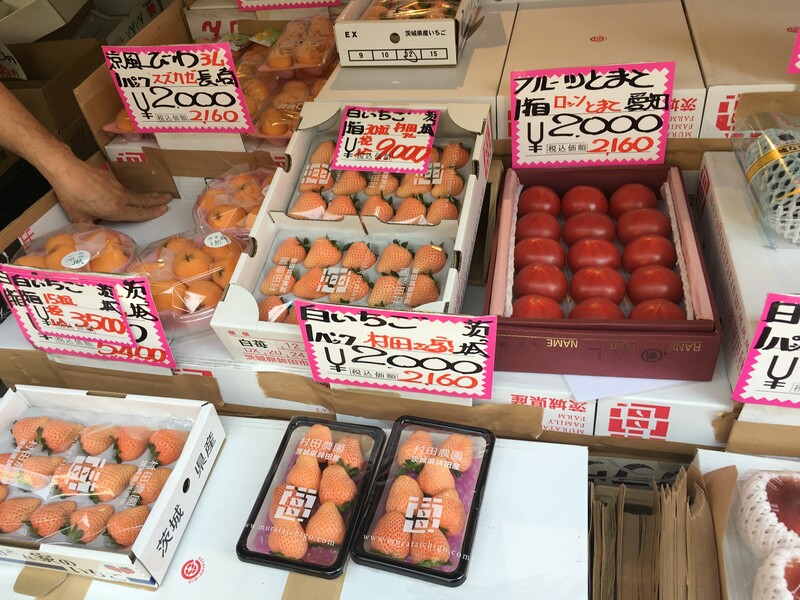 Maybe it is partly due to the fresh non-GMO fruits and vegetables and to the high level of skills and craft learning that is part of Japanese culture. Regardless, the culinary experience in Japan is amazing. However, the amount physical waste in the form of packaging that comes with most food items always shocks me. 2. How clean (and safe) cities are – particularly Tokyo – and the endless level of exploration and contrasts that abound. 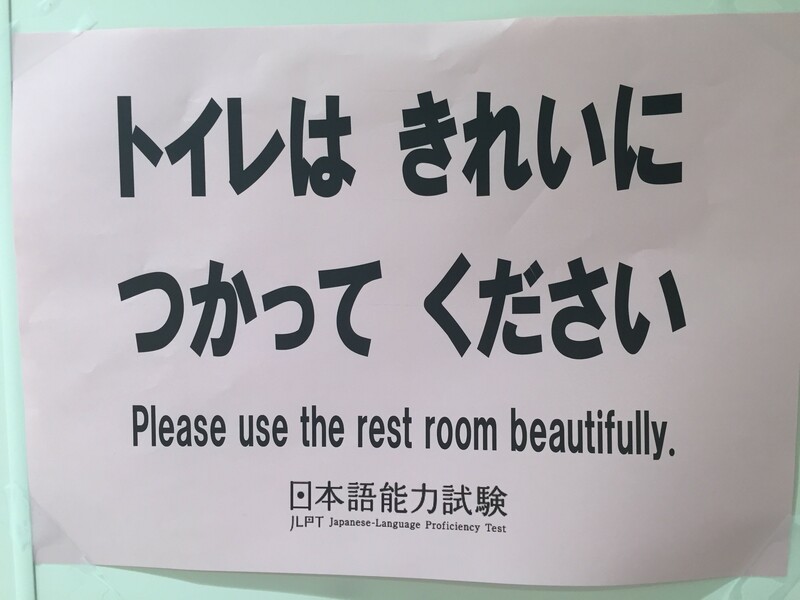 I’ve written more about both of these topics in prior posts “Life in Japan: Where Clean is Beautiful, But 5S is Still Hard” and “Life in Japan: Contradictions and Contrasts”. 3. Traveling on the Shinkansen. I love traveling by bullet train. I took 4 Shinkansen rides last week and I’m always a bit giddy when the train pulls into the station. It doesn’t get old. 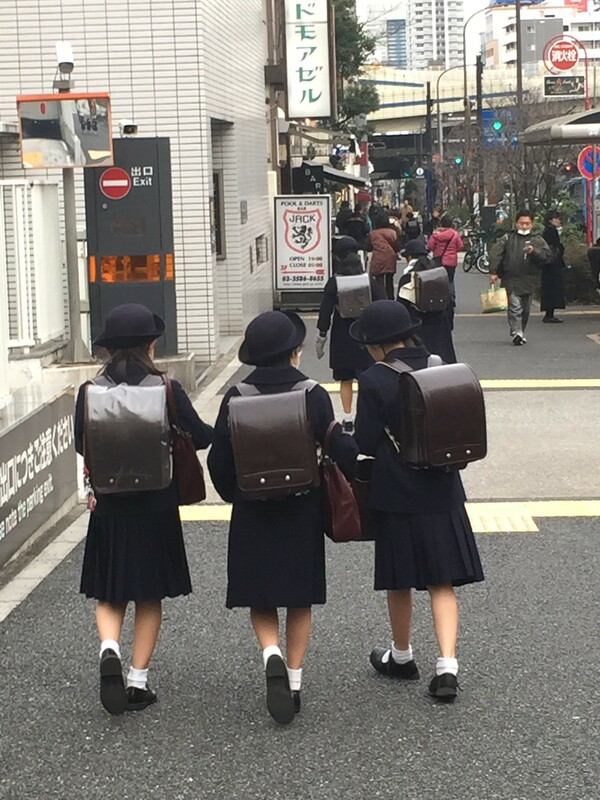 There are so many other aspects of Life in Japan that I miss (and some that I don’t…), which you can read about in previous blog posts under the Life in Japan category. 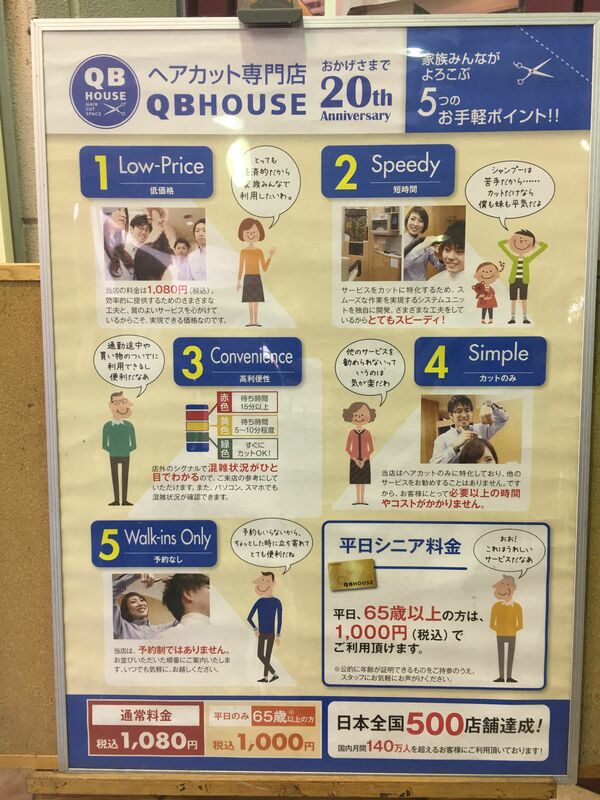 I will write about many of these reflections and takeaways in more detail in future blog posts, but here is a sampling of some of the highlights of visit “home” to Tokyo (at least from a Lean and professional lens). Toshiko Kawanami, me, and Noriko Ogura after a special lunch. I had a delicious lunch with Mrs. Ogura and Ms. Kawanami, two interesting and inspirational Japanese women. One of the leadership-related highlights from our conversation was when Mrs. Orgura commented that leaders must be humble and always keep learning. 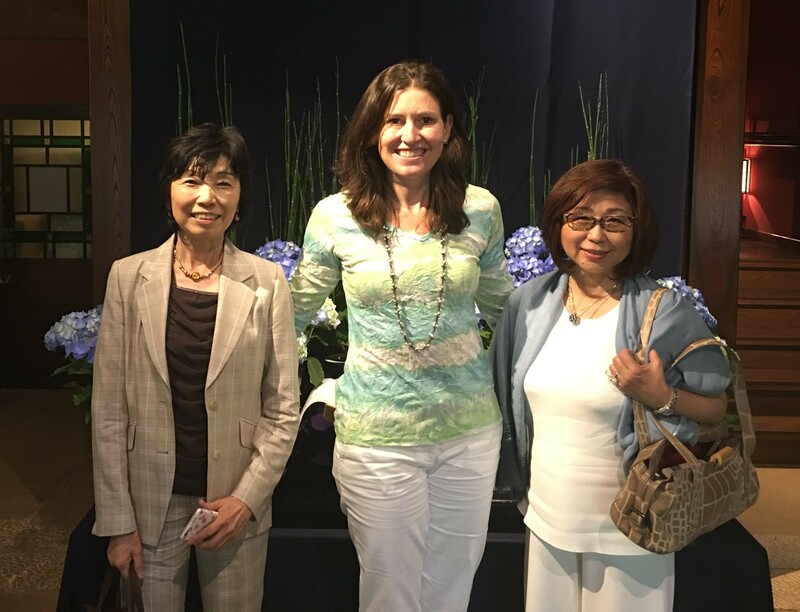 As an example of always learning, Mrs. Ogura shared that she takes her leadership team on an annual excursion somewhere Japan to visit other manufacturing organizations. Her team gets to research and determine where they will visit. She believes in the power of going to gemba – both to her own shop floor and to those of others. A few years back the Ogura management team visited Ina Foods, the agar factory that was the focus of the book “Tree Ring Management” that I reviewed years ago and whose CEO is seen as a sensei to many Toyota leaders. Ina Foods is still on my bucket list to visit and I was excited to talk with someone who had visited herself! 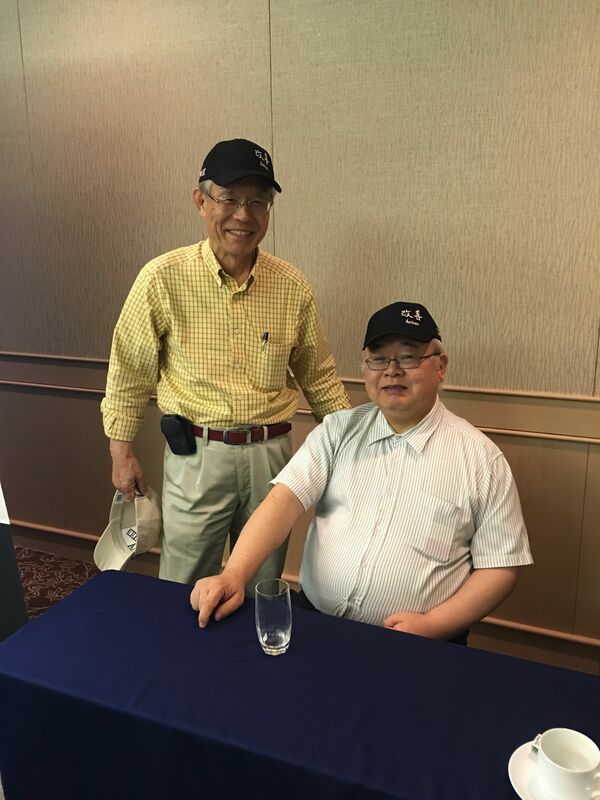 Two of the Toyota leaders who translated and taught NUMMI managers the Toyota Production System. I spent the afternoon with my friend Mr. Isao Yoshino talking about life, Toyota, leadership, and Lean. I always learn so much from our time together – more details to come in another installment of “Toyota Leadership Lessons” I’ve learned from Mr. Yoshino. A highlight for me was getting hear him lecture for the first time in a public setting about the role of leadership at Toyota and the process of hoshin kanri. He had shared his materials with me privately in his office over the past two years, but it was great to see and hear him in the role of lecturer. I also met Mr. Ichiro Iwasaki who, along with Mr. Yoshino, John Shook and some others, were responsible for translating the Toyota Production System (TPS) and training the NUMMI mangers in TPS. 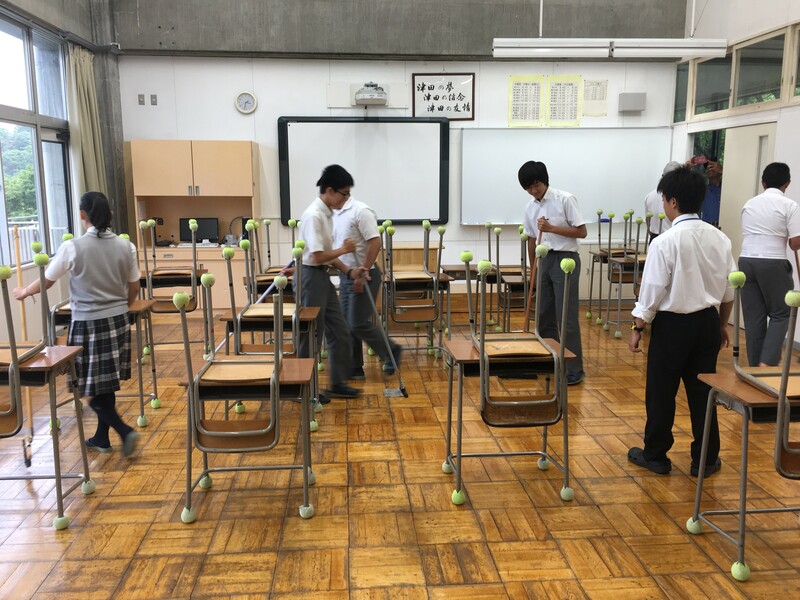 At the end of every day Japanese school children across the country spend 15 minutes cleaning their classroom. Thank you to Paul Akers for allowing me to join part of his Japan Study Trip last week. 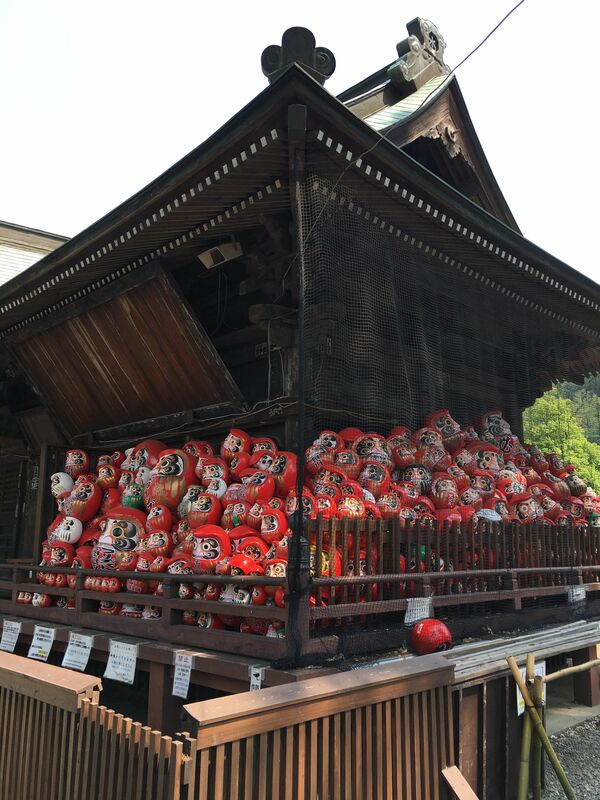 Of course I got my copy of “2 Second Lean” signed too, and gave him the gift of a daruma that I’d bought at the temple (see below) that week. The highlight of the day for me was visiting a middle school to see them perform their daily 15 minute cleaning ritual, and talking with our young hosts who were so enthusiastic about practicing English. Process flow for a lean hair cut. We had lunch at a chain sushi boat restaurant I’ve been to before but in true lean fashion. The whole process is oriented to get you served with no wasted time. We were in and out in less than 20 minutes! Japanese fast food – a whole lot healthier than what we get in the West. We also visited an impressive factory that produces prefabricated houses and were awed by the production principles of just in time, flow, and quality, learned from two senior lean-thinking leaders, and some guys on the trip got their hair cut at a lean-minded hair salon. Katie, our trainer, and Tim – demonstrating our positive spirit by showing two thumbs up and shouting “ii ne”(“that’s great”). 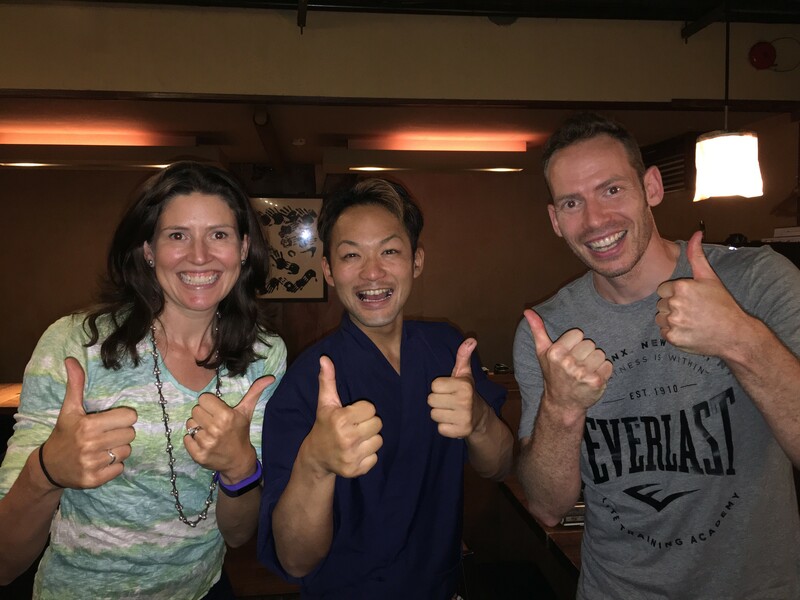 My last day in Japan concluded with meeting up with my friend Tim Wolput (who I’ve joined for many great gemba experiences in Japan) for an adventure to an izakaya restaurant chain to learn about and participate in their enthusiastic and invigorating start-up meeting (“chorei”). If only every huddle or start up could be this mindful and enthusiastic! Definitely more to come in a future post about this experience (now published!). No, I did not try to take this one home with me…! A few months ago I discovered that there is a city north of Tokyo that is known for producing the majority darumas in Japan. I knew that I had to find a way to get there! 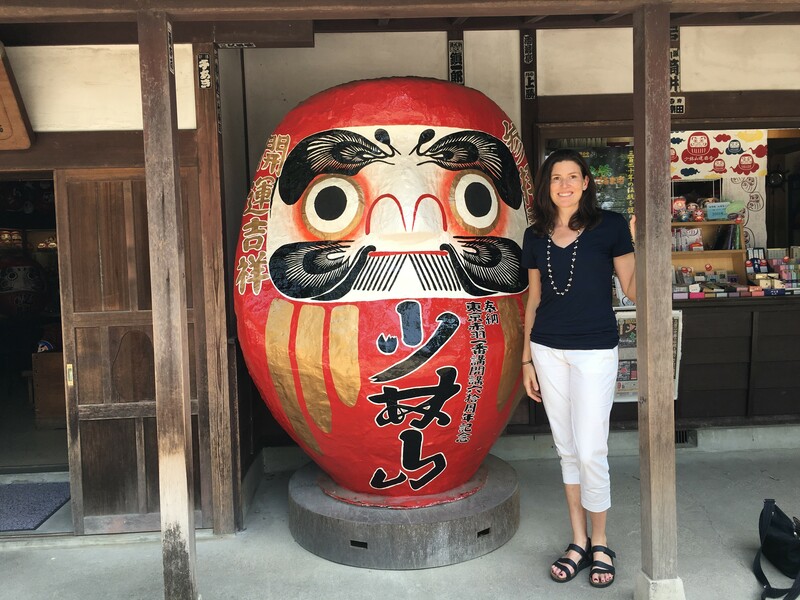 Last week I roped a friend into joining me for a day excursion to the town of Takasaki for my daruma pilgrimage. I was so thrilled! Those of you who have been following this blog for awhile know that I’m a bit obsessed with darumas (read my post about darumas to learn why). My personal collection has been ever growing and I often gift small darumas as gifts to colleagues, clients, and friends. I have too many pictures of daruma to include in this post, but watch for them in the future! One side of the temple piled high with darumas – and it was only 5 months into the new year. Imagine the bonfire in January! In Takasaki, we visited the Shorinzan temple where completed darumas (representing fulfilled goals and wishes) of all sizes are collected and then ceremonially burned every January as a ritual (I can’t bring myself to burn my darumas, but I suppose that is too material of me), as well as other sights in the town. 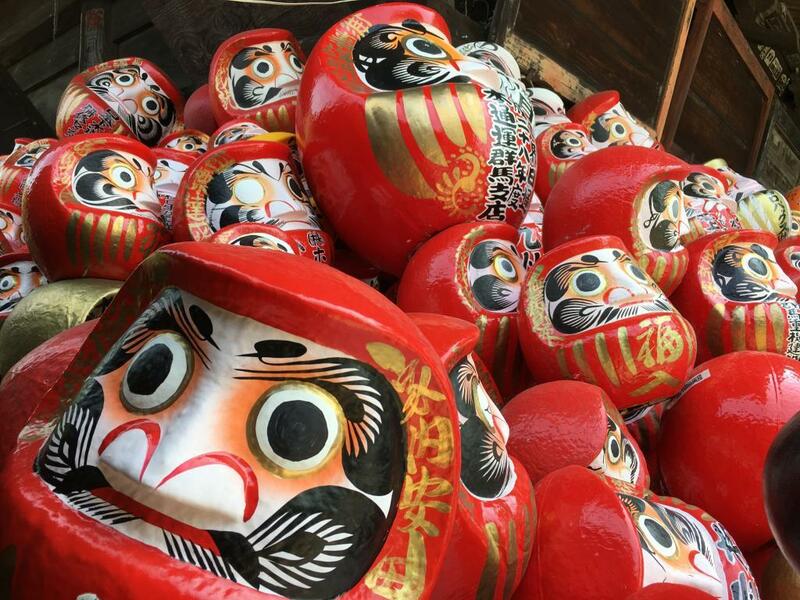 We also visited a daruma artisan and one of the larger producers of daruma where we got to paint our own daruma faces – which is a lot harder than it looks. My friend had to hold me back on my daruma purchases, though I did acquire a larger daruma for my collection (that could still reasonably fit in my carry-on luggage), a few for my children (who also are fond of daruma) – including a chicken-themed daruma for the year of the rooster (we just got 5 chickens! ), and some others as gifts (including Paul Akers and Mr. Yoshino). Thanks for reading! Over the next few months I’ll write about more of these experiences in greater detail. What are some of the topics that you are most interested in learning more about from this post or any others? Please leave comments below. 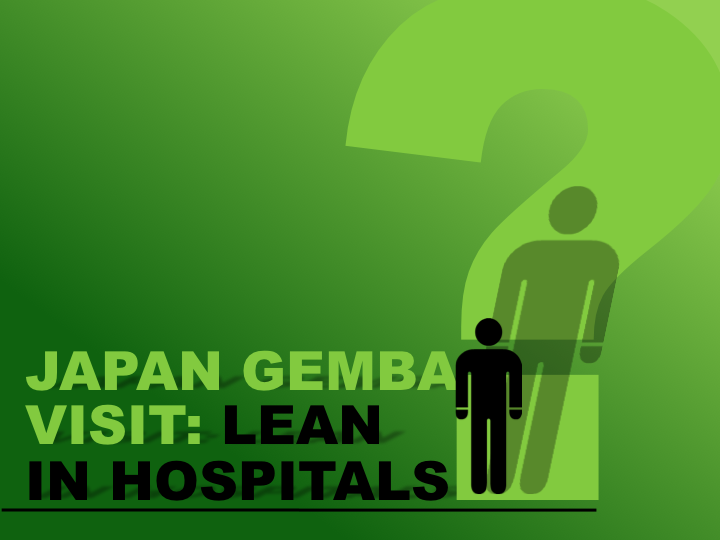 Will you be at the Lean Healthcare Summit? I’m off to the U.S. Lean Healthcare Transformation Summit next week where I am teaching a pre-summit workshop and then attending the conference sessions. If you will be there, let me know! If you like this post and want to keep learning as I learn and reflect, sign to be notified of new posts as soon as they are published. 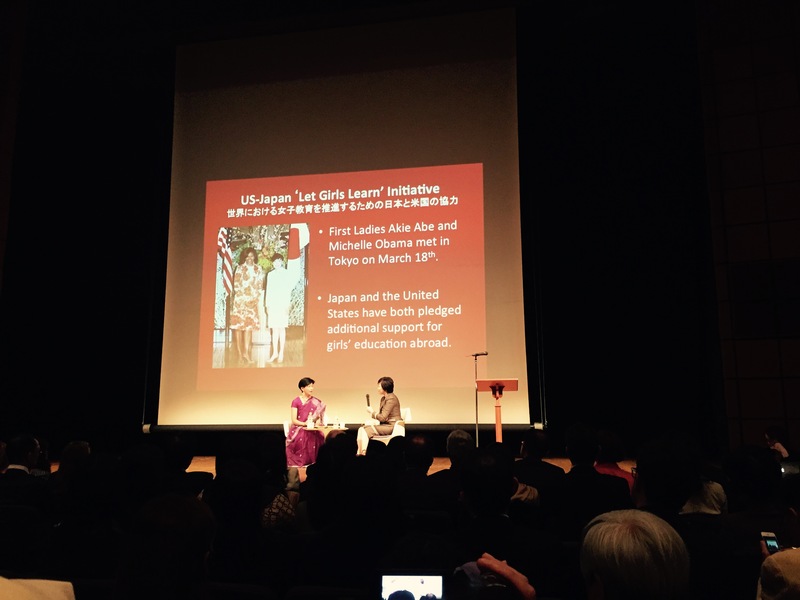 First Lady Akie Abe's thoughts on "Womenomics"